Based on neuroscience research, this is a tried-and-tested path, to revolutionise your ability to achieve a profitable outcome each and every time you make a deal… and build lasting relationships with your trading partners. 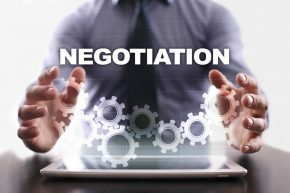 Black Belt Negotiation breaks down into five steps, each of which is crucial within the overall negotiating process. The programme carefully examines where negotiations can go wrong and seeks to replace bad habits, uncertainty and fear with effortless technique and confidence – ensuring you never make unnecessary concessions again. This webinar has become a HUGE HIT internationally. Black Belt Negotiation has a proven record of success and has been used within major companies to reduce costs, generate new business, and increase profit. You'll stand to benefit in both in your business and personal life.